You are currently browsing the category archive for the ‘Panels and Speaker Events’ category. Fee: Free! Limited availability so register early. In many cases the exact business requirements are ill defined, but the deadline for completion is not. We’ll demonstrate new software – Microsoft Sketchflow – and rapidly create a clickable prototype live with real transitions and flow. We will describe how the combination of rapid “sketching” combined with end-user research can rapidly move your project forward and provide the requirements needed for the actual build. Learn how prototyping can shorten your development lifecycle and simultaneously improve customer experience. Register to Crush It! 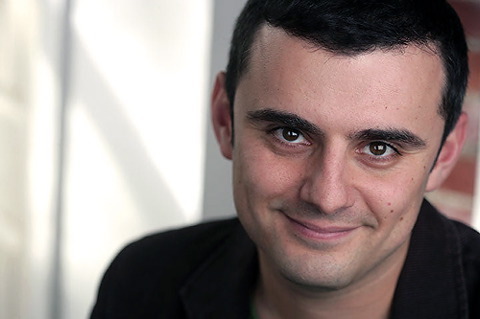 with Gary Vaynerchuk and 85 Broads E.Forum on June 22nd at this live event at Bloomberg! Are you ready for an unforgettable evening of entrepreneurial drive, wine, social media, passion and hustle? Entrepreneur, New York Times & Wall Street Journal best-selling author, and self-trained wine & social media expert, Gary Vaynerchuk (@garyvee) will be talking with 85 Broads on June 22, 2010 about how to Crush It! and why now is the time to cash in on your passion. RSVP by June 14, 2010. No registrations will be accepted after this date. Much has been written about customer acquisition in an online business. There are entire books devoted to this topic. However, an area not fully explored is the close connection among the worlds of payments, billing, and online marketing, and the resulting impact on digital merchants. Read more and register. Space is limited! For more information and to register to attend, please visit our 2010 Webinar Series page. Diana Sonis and I had the pleasure of presenting Danielle LaPorte (of White Hot Truth) as our first speaker in 85 Broads Entrepreneurship Forum Spring Calendar yesterday at noon. The jam session was very successful; we had a great turnout online and many excellent questions were asked during the QandA session. Danielle is truly one charismatic and inspirational speaker. What she has to say speaks volumes to the bare truths out there; her presentation was succinct but powerful, memorable and relatively easy to apply. We’re not being intentional with what we’re good at. We don’t focus on our innate and true strengths. These are things you do that strengthens you. Stop doing things we’re mediocre at. Our weaknesses are things that makes us feel drained. I find that extremely true. I’ve always had this mantra that people can only contribute back to the community (in a creative and value-added way) if they do what they’re good at or what they’re passionate about for a living. Unfortunately, most of us are trapped in the path that we unintentionally set for ourselves ever since we graduated from college with that first job that we took. After 3 jobs in different companies (small, mid-sized and now large), I cannot say that I have a successful career so far and neither am I proud of what I do for a living right now (as a management consultant with a Big 4 Accounting Firm). And that’s because I feel like I am ‘faking’ it. I’m not doing what I’m naturally good at. I’m not even doing what I’m remotely interested in. And this is how I know that I need to pursue that “dream” job of mine and fulfill my entrepreneurial spirit and hunger. Sure, one could say that an entrepreneur is “someone who doesn’t want to be told what to do.” But really, it’s just anybody who just wants to start. Gilt is not about search. It’s about discovery. It’s a private shopping experience. Customer insights = customer intelligence. Wealth of information and increasingly important tool to get partners. Most partners are wholesellers. Gilt can tell velocity (what products sold fastest, etc). Can show them what brings customers in. What customers buy. Unmet demand. Waitlist. These often number in the thousands and hugely valuable to brand partners. Give them insight into what young women are going after. In the long term, Gilt rebuilding platform where they can serve dynamically, every member based on preferences, buying history, behavior, etc. Noticed that there were a lot of “shoppers” on the site who weren’t making the purchase. When they dug deeper, they discovered that most of their users still thought that the items are too expensive or that this was just not their lifestyle. So they consciously introduced lower priced items to appeal to this group. Susan has 10 key metrics to eye on. Make everyone at company conscious on these 10 metrics. Should constantly review these metrics as important measurement of company’s health. Always experiment with different sale concepts. But always offer a value proposition to your customers. Eg. Selected 20 items and did a promo on Gilt.com at full price. If the customer spent more than $250, they got a credit as well as additional gift. So this is more incentive to customers to shop online vs in store. Goes to show that a lot of customers also buy items at full price since they have come to trust Gilt as a high quality site referral for fashion. That is why branding is so important. The best definition: The Chinese symbol for “risk” is a combination of Danger + Opportunity. If you want one you’ve got to live with the other. Where there is upside, there’ll always be a downside. True arbitrage is extremely rare. The essence of arbitrage is that you take no risks, invest no money and walk away with a profit. In practise, what passes for arbitrage can be categorized into either pseudo or fake arbitrage. Pseudo arbitrage is categorized based on option and future pricing models. The arbitrage is dependent on both the model’s assumptions and transaction costs. Fake arbitrage categorizes everything else – merger arbitrage, paird trading arbitrage, etc. These are all speculative strategies with some or substantial risk associated with them. We have access to more data (and in a more timely form) than ever before. But our mistakes could get bigger, not smaller. The complexity of the models cannot keep up with the complexity of the assets that they are valuing. Complex model require more data inputs (with more errors) than simpler models. Complex models create output that is far more difficult to understand than simple models. Risk affects value on every dimension. Valuation – Value today can be higher as a result of risk taking. First thing to do – sit down and list out all possible risks. Then decide which risks you want to avoid and which to pass on to your investors. There is so much noise in this process that the dominant variable explaining success in any given period is luck and not skill. Proposition 1: Today’s hero will be tomorrow’s goal – there are no experts. Let your common sense guide you. Proposition 2: Don’t mistake luck for skill – do not over react either to success or failure. Chill. Proposition 3: Life is not fair – you can do everything right and go bankrupt. You can do everything wrong and make millions. Why the Focus on Women Entrepreneur in High Tech? Women founders outperform – launch companies with 30-50% less capital than the norm. Achieve comparable or higher revenues in earlier years. Are slightly less likely to fail. Women historically start a company 10 years later than men (women at 35-45 years vs men at 25-35). But that is now changing with Women 2.0 in California. Why so few women in StartUps and VCs? 30% of women with right education and exposure are in high tech workforce. Why the Gap? (i) Pattern Recognition/Homophily + Self Selection. 93% of the people on “Sand Hill Rd” are white males and have attended Harvard or Stanford. Women also more likely to seek women investors but there are a lot less out there. (ii) Lack of Access + Lack of Visibility. There is no critical mass (70% of IT startups have 0 women founders, 26% have 1 woman partner and 6% have 2 women partners). Overcoming the barriers: The road for women has been mapped by Indian entrepreneurs. Recommendations: READY – Encourage young women to gain the right educations and fund research to better understand the barriers. SET – Consolidate movements for more focused impact. GO – Build visitbility. Working on the side while at Morgan Stanley. Prototype with a few thousand dollars. Enrolled in HBS. Worked on for a year. Astia backed company. Dropped out of HBS but with support of 4 professors. Moved to NYC. Didn’t want to take money from friends and family. 85% women make decisions in household but no one is marketing to them. No one wants to read a book on personal finance. Janet Hanson and Circle Financial Group were Angel Investors. Got oversubscribed. $1.5 M committed. Prototype more refined. Selected by TechCrunch. Alexa only women presenting at TechCrunch conference. Nov 2009 opened website to women. Online for free to educate women to make personal finance (content, tools and community). Accel Venture Investors (who invested in facebook) just backed LearnVest. On Fundraising: One of the hardest things to do – dark and scary moments. Learned from people who’ve done this before. Go after Goldman Sachs partners who were passionate about finance. Daily Candy partnership on personal finance 5 days a week (former CEO). Former CEO of Huffington Post worked with LearnVest. TD Ameritrade partnership to build out personal finance tools. Key – Find one source person or company who is an expert in a field and beg them to get behind you. Spend nothing on marketing. The internet is free – use it. On networking and knocking on the right doors: Your passion shines through – show it. Use your networks – alumni, 85 Broads, workplace, etc. Preservere. Never take no for an answer. 10 calls end up in 1 meeting. 10 meetings end up in a connection. Keep all contacts. It’s not an easy process. Everything’s a chaos. You will see progress at the end of the day. Everything’s a commitment. Make time for people who want to talk to you – people will remember that. Revenue stream of LearnVest: Cliffnotes for personal finance. #1 Advertising (work with only brands we believe in). #2: Lead generation – Once someone learns about an IRA, you need to open an account somewhere – get users a better deal via partners. Working on premium services offering, financial advisor, and personalized phone services to help women around the country make financial decisions, etc. Who to Trust? Forget about NDAs. Share the idea with people – you will get ideas from people and it will help you formulate your business around customer needs. Legal fees: Lawyers are so expensive but make sure you get a good one. Convince them to work pro bono until the company gains traction or meets certain milestones. On partnership: Did it alone as well. Started out with help from first cousin working at a Hedge Fund although not technically a co-founder. Biggest challenge in retail – it already exists. But it could be better. Angel investment the only way to go because no capital or revenues. Find people who believes in concept and invest in the long run. Started with colleagues network and friends in business world in NYC. When first started writing bplan, reached out to hundreds of people who may be interested in retail, finance, VC, etc. Shared why she was crazy about the idea and asked for their insight. Was introduced to other networks and worked her way through building relationships. Look forward to people with similar risk profiles and passion as investors. Social media: Find people who have similar problems and want to share with others their problems and solutions. On attorneys: Trademark work with logo and branding. Biggest cost is financing – to draft up legal agreements and negotiations. Third round financing now (paperwork almost the same so can leverage previous document). Impossible to operate without a good lawyer. On partnership: Wished she had one. Difficult unless you meet the right person at the right time. Network to reach out to people with similar passions, goals, etc. At this stage, making senior hires out of necessity rather than partners. Focuses on cancer and neurology markets. Company is a research-stage company developing best-in-class targeted cancer drugs. 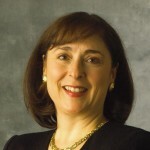 Wendy is responsible for company and capital formation and strategic partnerships; and leverages a versatile background in corporate planning, sales, marketing and health policy. (i) How to form a great management team – really important for a start up. (ii) How to raise financing. On financing: Approach advisors. How to market company prior to raising financing. Use of social networking tools. 99 Designs to design corporate logo – if you reach out to IR firms, it costs 1/10 now. It’s now much cheaper to hire someone to build branding and design of website. On partnership: Find the right balance in terms of skills. Discuss equity and how you split the pie. Makes best sent to make value to divy up titles and roles early on. Reach out to Angel Investors such as AngelSoft and GoldenSeeds – something that was not available 10 years ago. 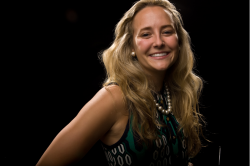 Danielle is going to be our first speaker in Spring. I’ve been following her blog and am fired up by her passion, bold yet beautiful voice and raw business advice. The first two advice relates to my lean start up ideals so I can highly relate. This is excerpted from the prelude of THE FIRE STARTER SESSIONS digital book. The full book launches May 12! Pre-order now and get the “True Strengths & The Metrics of Ease” session immediately! Don’t spend it before you have it. This is such a difficult course to stay when the money finally starts coming in, or you get some serious interest from your biggie client on your biggie proposal, or you finally convince the loan officer at the bank that you’re a worthy human being. Hard fact: before you earn it, you don’t have it. Projections and ideals do not equal money in the bank. Don’t spend it when you get it. My last business partner and I were expecting mid-six figures for a book advance. Dreams were ballooning. Family was swooning. Our ship was coming in! The deal wasn’t even sealed and we had picked out a new house and the custom-made sofa to go with it. “That wave of money is going to come in,” Rob said to me over Souvlaki, “and it’s going to take you right out with it.” My dreams of a Dwell pre-fab house started to crumble. Rikia declined to invest in one of my companies because she thought it was the kind of business that should “grow organically…one step leading to the next. Your work needs to build on itself.” Those words would echo in my mind when it all fell apart. And when I started my solo, biggest venture ever. “So you want to drag this out for months because of your principles?” he said. “You want to sink a few more grand into this because of your principles? I’ve had a lot of clients over the years that have made themselves sick, wrecked their marriages, or drained their finances to protect their so-called principles. Only do it if it’s fun. If it’s not fun, make it fun. If you can’t make it fun, don’t do it. Ah, sweet Peter. If only I took this jesterly sagacity to heart way back when, I’d have avoided so much agony. This has become my most impassioned mantra. I do only what I want to now, and that’s crazy fun. Of course, I have burned some bridges. TNT kaboom and obliterated. In fact, I said to one client who accused me of shopping out his proprietary slogans to another client, “You best consider this bridge burned. To a crisp.” But generally, bridge preservation in work relationships is about basic kindness and dignity to all parties. And that’s always a good thing. TUNE IN TOMORROW FOR PART 2. 85 Broads E.Forum New Spring Calendar is Out! Check out 85 Broads E.Forum New Spring Calendar @ http://bit.ly/EForumSpringCalendar! A lot of amazing speakers coming up – join us! May 11 – “Bootstrapping to Success” Jam Session with Rick Smith, author, innovator, serial entrepreneur and a Guy Who Rocks! As Rick launches another venture, he’ll discuss how to launch a business with limited resources. May 25 – “Social Ventures. Celebrate Businesses That Give Back” Join New York Leadership members Diana Sonis and Susan McPherson as 85 Broads E.Forum brings together socially focused entrepreneurs in the network with members of Collective-E. We will be featuring two outstanding 85 Broads members on an interactive panel: Michele Kotler of Community-Word Project and NY Chapter Leader Susan McPherson, DIRECTOR of Bpeace, as well as publicly recognizing a list of members whose businesses give back to the community. June 22 – Crush It! Join NY Chapter Leader Diana Sonis and 85 Broads E.Forum for a high octane evening of entrepreneurial drive, business ideas, wine, social media, passion and hustle with Gary Vaynerchuk, author, entrepreneur, & wine expert. 85 Broads is an exclusive global women’s network whose mission is to generate exceptional professional and social value for its members. Through our regional events and online, password-protected community, our members engage in a rapid, high-powered exchange of ideas and information which is what makes 85 Broads so unique. The women in 85 Broads are investment bankers, lawyers, educators, venture capitalists, hedge fund managers, philanthropists, athletes, scientists, doctors, engineers, artists, and entrepreneurs. 85 Broads was originally founded in 1997 as an exclusive network for women who worked for Goldman Sachs at 85 Broad Street, the investment bank’s NYC headquarters. In 2000, the network was expanded to include a more diverse group of women from a variety of fields and backgrounds, including the non-profit sector. Today, over 20,000 women who are alumnae and students of the world’s leading colleges, universities, graduate business schools, law schools, medical schools, and other graduate programs belong to 85 Broads. Learn more about our exclusive network and apply for membership. Get updates from Haute Ventures!